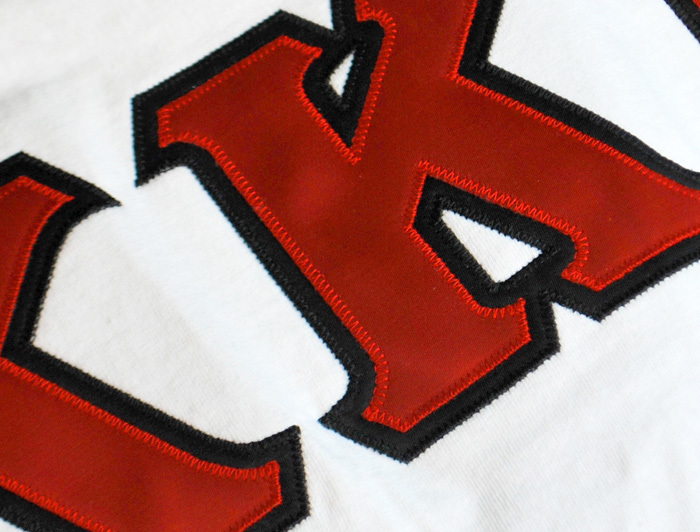 Represent your Greek affiliation in style and comfort with the Greek lettered hoodie from Greek Gear. 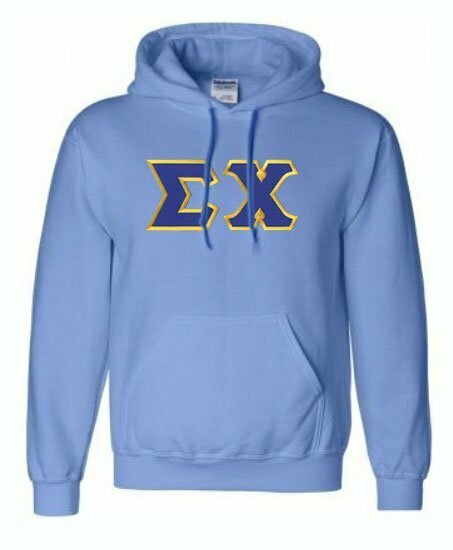 This top-quality hooded sweatshirt is embellished with 4-inch tackle twill Greek letters which signify your fraternity or sorority. 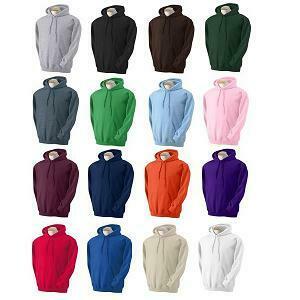 The unisex hooded sweatshirt comes in several different solid colors and Greek letter color combinations. 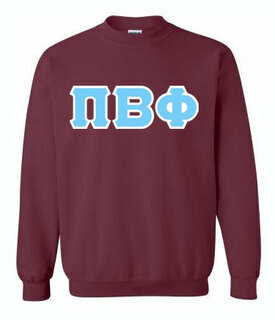 These Greek letter sweatshirts are ideal for cold weather Greek activities. 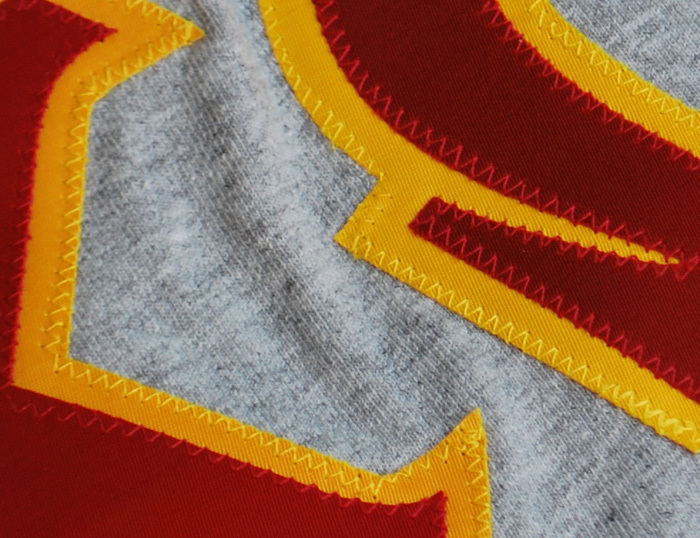 Wear them to football games, parties, bonfires or while relaxing at home. The high-quality hoodies also make a wonderful gift for anyone in the Greek community. 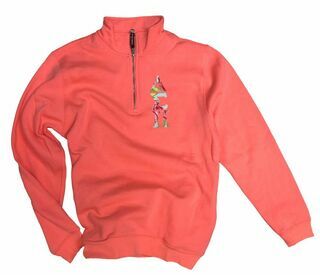 Our hooded sweatshirts are among some of our most popular Greek life products. This hooded sweatshirt in particular is made from our highest-quality materials that are meant to keep you warm and comfortable, no matter what you're doing. 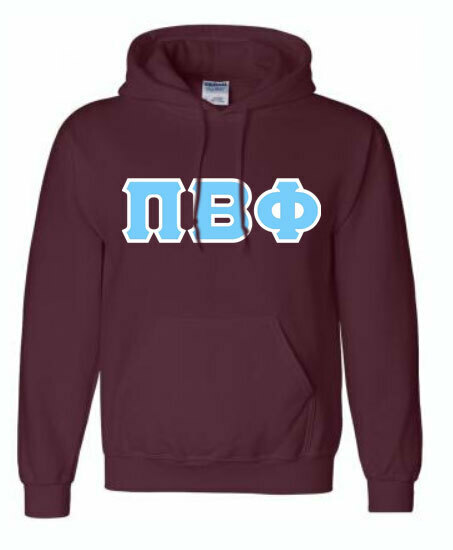 This sorority or fraternity hoodie is available in seven different unisex sizes. While the sizes are meant for both men and women, they are more geared toward men. Women should consider sizing down when placing an order.